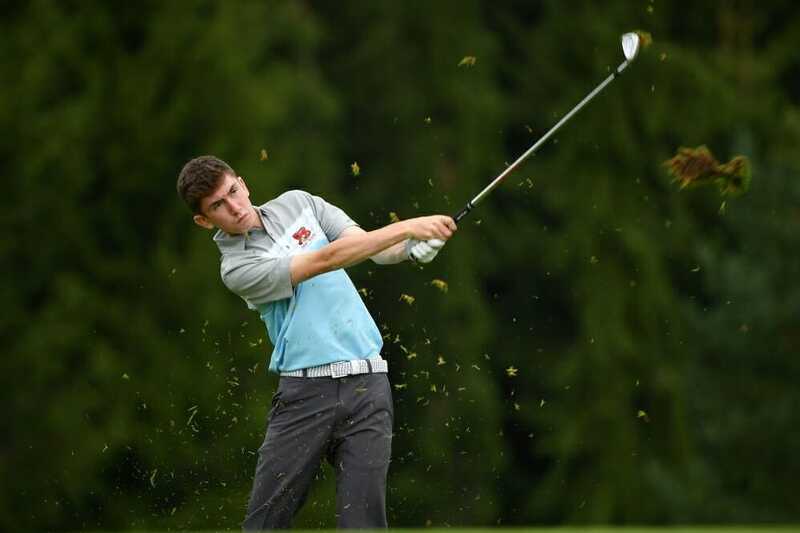 Teenage sensation Tom McKibbin ended a successful season on a disappointing note in missing the cut in the Orlando International Amateur. McKibbin added a second-round level par 72 on the Panther Lake course to his opening 74 on the adjoining Crooked Cat course at the Orange Country National course complex which left the 15-year old Holywood two shots shy of being among 71 players to make the one-over par cut and qualify for Sunday’s final round. McKibbin’s second round was a mix of bogeys at the second, fourth and seventh holes while he birdied the 10th and 12th hole of the Panther Lake course and he will have a week off before the expected defence on January 5th and 6th of his Under-18 Honda Classic title at PGA National and where Rory McIlroy captured the 2012 Honda Classic. Fellow Irishman Joe Lyons was also headed home with the Galway golfer posting scores of 76 and 74 for a disappointing six-over tally. Lyons had sensationally commenced his Crooked Cat opening hole on Friday in holing out the par-5 first hole for an eagle ‘3’ but had to wait 17 holes before his only birdie on day two at the final hole of the Panther Lake layout. Earlier, the former West of Ireland winner, bogeyed the third and 11th holes while he doubled the par-5 seventh.